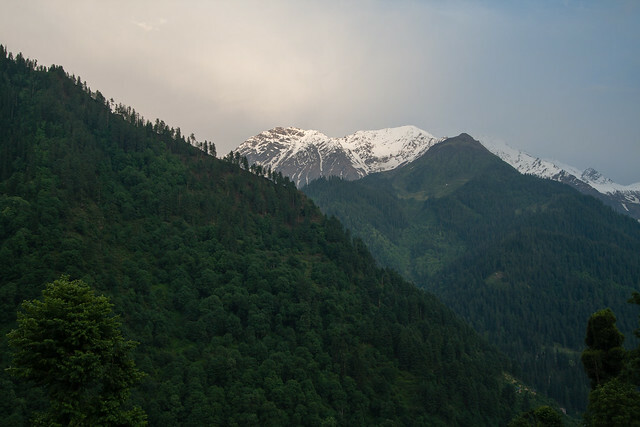 Located at an altitude of over 2400 meters, the village of Tosh is a must visit if you are in Kasol. Tosh is located at the top a hill near Kasol in Parvati valley. The village even has a glacier river flowing through it which feeds the Parvati river flowing down the valley. The entire village is surrounded by towering mountains peaks like the Papasura, White Sail, Angduri, Pinnacle, and Devachan. You can reach there by taking a bus from Kasol to Barsheni, from there, after a one hour trek you can reach Tosh. Tosh Village is very well known for its hippie culture and the mesmerising beauty of the surrounding mountains. Tosh is calm, quiet and the beauty is seductive. The trek to Tosh starting from Barshani will be one of a kind experience. You will be trekking through the narrow passes amidst the thick woods.The hot springs of Manikaran is also on the way to Barsheni from Kasol.